Damjan Jovičin is young Serbian composer based in Belgrade. 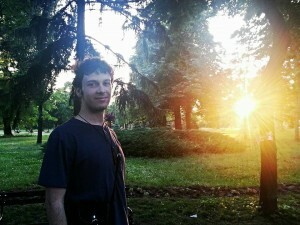 He’s currently on third year of composition department in Belgrade, studying with prof. Zoran Erić. He received first prize in composition for his ”Piano suite” on complementary piano competition in Niš. and a second prize in composition for ”Morning in park Manjež” for alto saxophone, on a contemporary composition competition for saxophone ”Rudolf Brucci” in Novi Sad. Performances of his work are for now realized on concerts and festivals in Serbia, Bosnia, and Czech republic.